Current debates on anti-imperialism must contend not only with the United States, but also with China. As U.S. leftists continue internecine fights over Syria or Nicaragua, Chinese economic and political power continues to expand: nine-figure investments in Israeli tech companies and arms deals; military bases stretching from Sri Lanka to Djibouti; dubious trade deals with Venezuela and Jamaica. And China’s turn to neoliberalism is a sui generis chapter in modern history, let alone in the history of the Left. In the face of such a complex chapter of modern capitalism, listening and paying close attention to China’s indigenous struggles is of utmost importance. China’s internal labor conditions are far from equitable, and the level of workers’ suppression and exploitation now rivals or even exceeds other major capitalist world powers. Behind the growth of China’s economy lies an ever-expanding population of precarious migrant laborers: the super-exploited proletariat of neoliberalism. Now almost 300 million strong (more than four-fifths of the U.S. total population), non-unionized, and akin to our undocumented immigrant workers here in the United States, these predominantly female, rural-based workers labor in urban centers as second-class citizens because of the oppressive hukou system. This internal migration system privileges those urban-born over those rural-born throughout all aspects of society, from educational opportunities to workers’ rights. And since Xi Jinping’s ascent to power, the country has seen more strikes and more repression of local and Hong Kong-based worker centers and NGOs, which are often the main institutions capable of organizing workers. Proposed engagements with China from the U.S. left are mixed and confused. Our own organization is no exception: in a piece written for the Democratic Left blog, Daniel Adkins publicly expressed fear that “the U.S. will become second” in the face of China’s rise, and that “our nation needs to be organized by democratic socialism to empower its whole people” to “compete against mercantilism.” This position not only reflects a type of unresolved imperialist anxiety in the U.S. Left, but also indicates the immense difficulty of approaching the question of China from the vantage point of the U.S. Left. After all, what can be an anti-imperialist response to China that is not influences by the paternalism of the Western Left? With the ongoing trade war between the U.S. and China, questions like this continue to loom large. I wish to point out in this piece that given China’s complex external and internal situation, the solution is neither the overthrow of the Chinese state nor uncritical support of China’s policies. As leftists in the dominant imperial center, our responsibility is not to ferment revolution but to forge links of solidarity with anti-imperial and anti-capitalist forces on a global scale, while being attuned to questions of national sovereignty. Before launching into critiques of China, we must learn to understand the complexity of its situation. Understanding a method of resistance and solidarity is undoubtedly difficult, but perhaps China’s working-class and intellectual communities have already been offering us some models. These forces are extremely heterogeneous; some seek to reform the government from within, and some lack theoretical or political clarity but are simply composed of individuals looking into secure more decent wages and better working conditions for themselves. Some of these demands would have been dismissed as the “winds of economism” in Mao’s time, just as these same movements would proclaim their adherence to Maoist orthodoxy. What I want to emphasize here is that a common link between many of these instances of resistance is the clear demand not to destabilize the current regime and advocate for another one. I strongly caution against the urge to interpret this demand as simply a means of protection from state oppression. While the fear of state repression is real, we must also take seriously, for example, the students’ signal of loyalty to the current regime just as we support their struggle with the Jasic workers. The forms of these demands may be heterogeneous, but their collective cry against capital is univocal. Recognizing the autonomy of these forces is important, even as some parts of these movements risk being increasingly under U.S. influence.We should understand and organize against these tendencies, without undermining the legitimacy of the larger struggles against the Chinese government’s increasing encroachment on basic human rights. Regardless of what effective resistance looks like, it is our role here to continue to learn, and to keep track of China’s development both internally and externally: the Belt and Road Initiative is a clear point of tension that takes a toll on both China’s own economy and on its neighboring regions. We must pay attention to international struggles in a way that connects to the struggles of the U.S. working class, especially the non-white and immigrant working class, without exceptionalizing the experiences of the working masses in our own country. Activists in the United States. are discovering new avenues of solidarity. For one, this year’s Labor Notes conference provided an invaluable occasion for labor organizers and workers from different countries of the Asia Pacific region. The Asia Pacific Regional Meeting on the last day of the conference gathered many representatives from these contingents to share their experiences and discuss already-existing ways of solidarity and future avenues for collaboration with their U.S. counterparts and with each other. And the struggles against capital rages on in China: the Rural Reconstruction Movement continues to extend its work from academia into grassroots communities through Renmin University’s Rural Reconstruction Centre (Raoling’s peasant association in Shanxi is one recent example); the Jasic Workers’ Solidarity Group continues to organize for the release of their arrested workers and students, and actively maintains its social media pages. As noted above,the political composition of these movementsis highly diverse. The rural reconstruction organizations critique neoliberal reforms while rejecting a traditional socialist program in their emphasis onecological renewal and sustainability, leading some writers to label them as ‘post-socialist.’ The Jasic solidarity group above is only one of many recent instances, in which workers and students explicitly turn back to Maoism for inspiration.The pan-democratic organizations in Hong Kong organizing against China’s human rights violations are at best liberal-democratic at their core. How can we make sense of this in the West? More often than ever, the extent of our engagement with the international working class consists of searching for our ideological and organizational counterparts from other countries. In this sense, too much international, anti-imperialist solidarity results in supporting foreign political groups that fit our ideological mold, be it democratic socialism or Marxism-Leninism, while condemning other indigenous movements that do not. But what if international solidarity starts by listening in the most basic sense: attempting to understand, in an open-minded and non-sectarian fashion, the complex moving ideas that are indigenous to those countries’ movements for liberation, and even let ourselves be refashioned by these other left traditions without forgetting their respective contexts? True international working-class solidarity is anti-imperialist and far from rigid, and China’s mounting aggression along with U.S. unyielding barbarity in the global stage reminds us that anti-imperialism requires a resilient praxis, not an uncritical and inflexible one. 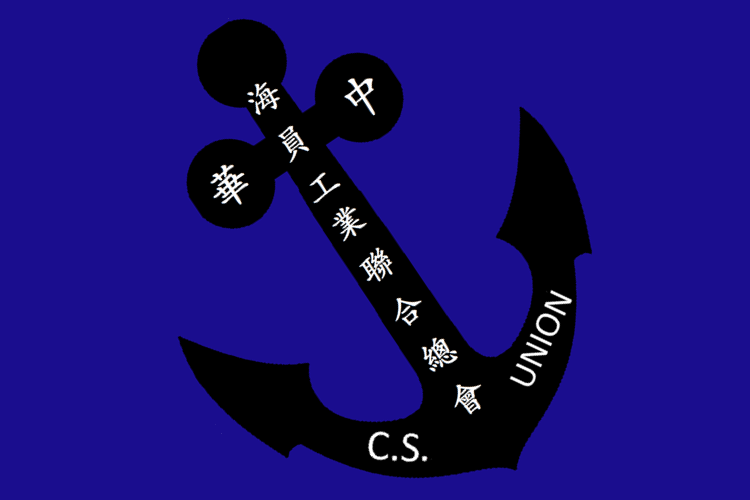 Flag of the China Sailors Union, which in 2013 mobilized a strike of Canton-Hong Kong ports. Promise Li is a former tenant organizer in Los Angeles Chinatown and staff organizer in the U.S.-based socialist organization Solidarity. He is currently pursuing doctoral studies in English at Princeton University.